Founded in 1968, the Faculty of Computer Science is one of the early pioneers of teaching and research in the areas of information and computer science. From its very beginning, it has aimed at developing a unique curriculum of studies devoted to the design of information systems according to an interdisciplinary and holistic approach. 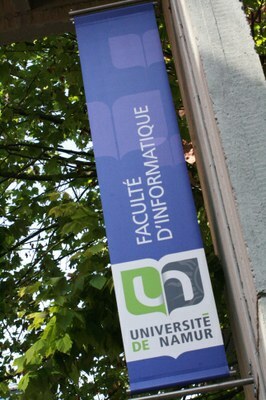 The Faculty of Computer Science offers Bachelors, Masters, Specialised Masters and Doctorate/PhD programmes. These programmes are based on scientific rigour and critical thinking, while emphasizing interdisciplinarity and social responsibility. Studying IT is the perfect way to access a fascinating and multi-faceted profession. The Faculty of Computer Science provides cutting-edge scientific research leading to the creation and integration of knowledge that nourishes education, technological innovation and societal debate.